Since 1892, the Old South Georgia College Administration Building has sat on the highest land point between Macon and Savannah. Originally constructed by the Methodist Church to educate students in grades 1 through high school and two years of college, the building has been a fixture in the history of McRae Helena since that time. In the early 1980s, after years of neglect, a major renovation of the building was undertaken by the Telfair Art Association, Inc. (now dissolved) and the Pioneer Historical Society, Inc. Provided with a large grant, the groups undertook to make the building useful again as a center for various artistic performances. The roof was repaired, bats were driven out, and the building was spruced up for use. Since that time, more renovation has occurred to the point where public performances are held on a regular basis. On April 17, 2015, The Telfair Center for the Arts, a project of the Pioneer Historical Society, was awarded the “2015 Georgia Trust Award for Excellence in Rehabilitation” by the Georgia Trust for Historic Preservation. In 1985, a financial campaign was undertaken to provide a drop curtain for the stage in the auditorium. Money was raised and Dr. W. Joseph Stell was contracted to design and produce a drop curtain. At that time, Dr. Stell was the Chairman of the Division of Fine Arts and a Professor of Drama and Head of the Design Area in the Department of Drama at the University of Georgia. 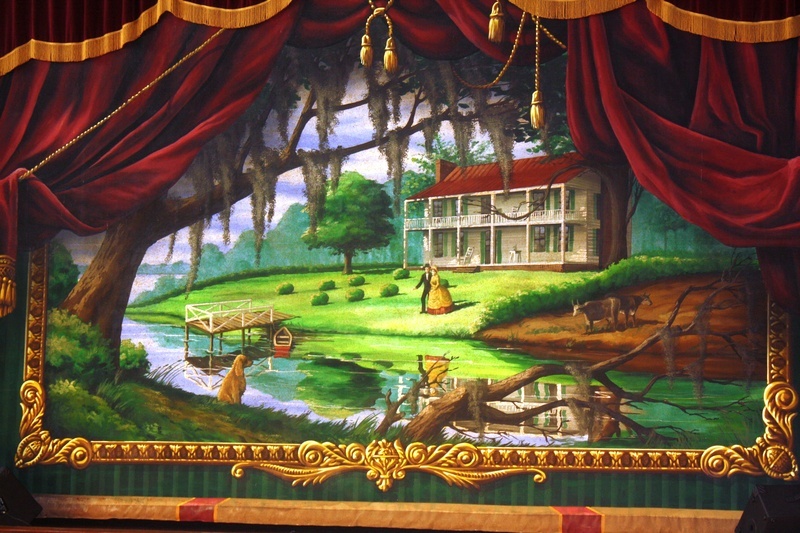 Dr. Stell designed and painted a curtain that depicts a Southern Plantation. 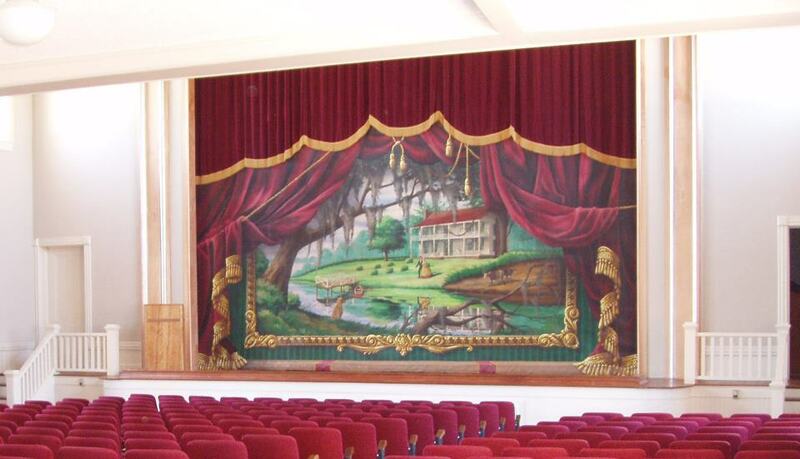 The curtain with the painting was installed in the auditorium with the dedication held March 2, 1985. Dr. Stell was present to provide a narrative for the group in attendance. At the time of the dedication, Dr. Stell had been a member of the UGA faculty for some eighteen years. He came with immaculate credentials. Dr. Stell designed numerous productions for the University Theater, for the Baltimore Opera Company, for the Walnut Street Theater in Philadelphia, and for theaters in Atlanta, New York City, and Winnipeg, Canada. He also designed scenery and lighting for such stars as Alan Alda, Linda Lavin, Joan Fontaine, and others. He wrote a textbook on scenery design and construction, and also wrote many articles on various aspects of design and theater. In addition to Dr. Stell, the University of Georgia Show Dawgs performed on stage during the dedication. The curtain was dedicated to William Edward Cotter (1898 – 1984). 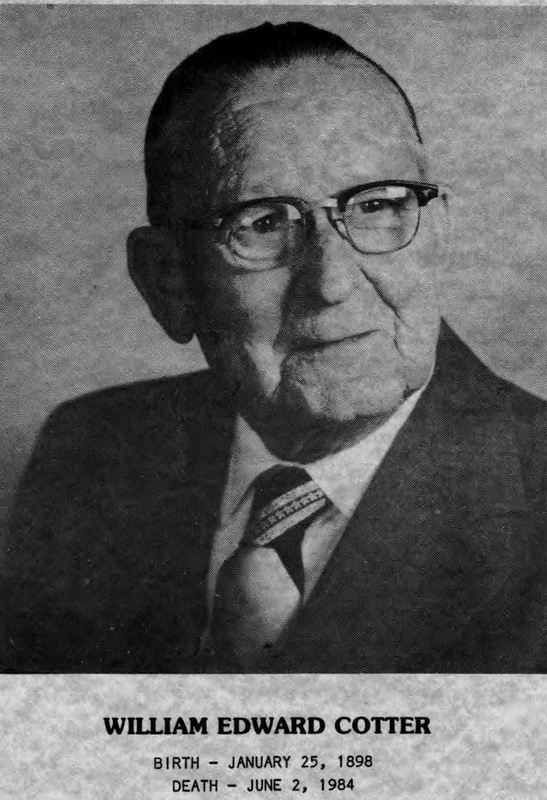 Affectionately known among the people of McRae and Helena as “Eddie”, Cotter was a retired legal aide; and a graduate of South Georgia College, Class of 1916. He was the Class Artist for the College yearbook and a patron of the arts, especially that of music. He came from a music-loving family. His lyrical tenor voice brought him pleasure in singing in his college glee club, barbershop quartets, and the McRae Methodist Church Choir. He was a drummer in his college orchestra. In his young manhood, while attending school in Atlanta, he had the thrilling experiences of hearing Caruso, Scotti, Melba, and other leading Metropolitan singers of the early part of the 20th Century which augmented his innate love of music. His father’s death when Eddie was twelve changed his academic training from a professional course to one of business. He worked with the law firm of Wilson, Pedrick, and Bennett of Waycross and with William S. Mann, attorney, of McRae. For years, he supported the philanthropic programs of the Alee Shrine Temple of Savannah. He loved his church. He loved his country, its ideals of justice and democracy, which he defended in World War I. As a member of The Telfair Art Association and a charter member of the Pioneer Historical Society, Eddie manifested great interest in and gave support to the renovation of his alma mater. In memory of her beloved husband and companion of forty-six years, his wife, Necia P. Cotter, gave the olio drop curain for use in the one remaining building of the school that meant much to him. A photograph of Eddie hangs in the lobby of the rehabilitated Administration Building of the Old South Georgia College.